PRISMAFLEX INTERNATIONAL enhances their offer to professionals of the advertising world with the acquisition of 51% of the capital of FPI. 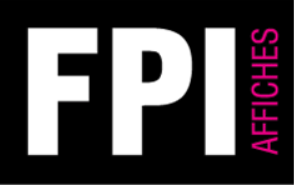 With FPI Affiches, Prismaflex International are strengthening their position on the advertising sector. This new combination of competences will enable the group to provide a one-of-a-kind service in terms of assembling and printing. Prismaflex is now in a position to provide a full service to professionals of the advertising world with a “one contact” approach and full control of the production process: printing, assembly, logistics and transport of faces for scrolling signs or traditional billboards. The collaboration between the two Mont du Lyonnais companies dates back a long time and the merger will optimise the synergies that are already well developed. With a printing and assembly of advertising faces market requiring ever higher levels of adaptability, flexibility and cost optimization, this partnership was the obvious solution. Our customers will now be able to benefit from a “one contact” solution for the printing and assembly of their faces. Delivery times will be reduced and clients managed individually thanks to the combined and complementary expertise of the two partners. After working together for over 15 years, Prismaflex and FPI have quite naturally joined forces to improve the quality of their service offer to professionals of the advertising world. This new and ultra-competitive advertising service offer will put Prismaflex in a strong position to satisfy client expectations and also to tap into new markets.